Guava has been one of my all-time favourite fruits. This humble fruit is loaded with nutrients and can be enjoyed in a variety of sweets, jams, juices or can be even eaten plain. Christmas is incomplete without guava cheese, which is tasty, healthy and delicious. It is called as “amrood” in Hindi and is also known as “sand plum”. In this post, we will go in depth on some of the amazing Health Benefits Of Guava. Guava is light green, yellow in colour and has edible seeds inside it. Its flesh is either white or pink in colour. Guava has a unique taste and flavour. This humble fruit is rich in antioxidants, vitamins and minerals. Let’s look at some of the health benefits of Guava. 1. Guava helps in boosting the body immunity. Guavas are rich in vitamin C. They have much more vitamin C (approximately 4 times more) as compared to oranges. Eating a guava a day can help you get your much-needed vitamin C. Vitamin C helps in providing protection against infections. It is important to consume vitamin C daily as it is flushed out easily. A simple act of eating one guava can give you the much-needed vitamin C that your body needs. 2. Guava is rich in fibre and so promotes better digestion. Guava is rich in fibre which helps in keeping you full for a longer period of time and it also helps in digestion. People suffering from constipation should have guavas regularly. 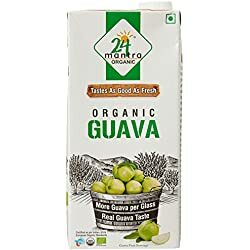 One Guava gives around 12% of our fibre requirement, which is very good and thus Guavas also serves as a natural laxative. It helps in cleansing the system. Guava is rich in fibre and has a low Glycemic index. It helps to regulate the sugar levels in the body and so it a good fruit for people with diabetes. 3. Guava is good for the heart. Guava helps in regulating the blood pressure and thus helps in controlling hypertension. It is extremely helpful in lowering the bad cholesterol and improving the good cholesterol. Heart diseases are closely connected to blood pressure and hypertension. Guava helps in regulating both these parameters. The presence of sodium and potassium helps in normalizing the blood pressure and also in maintaining the proper blood circulation in the body. 4. Guava helps in losing weight. Guava has zero cholesterol and so can be a healthy fruit. It is loaded with fibre, minerals and vitamins. The low digestible carbohydrates help in keeping the stomach full for a longer period. 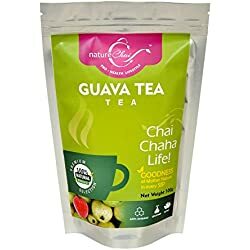 Guava not only helps in losing weight but also helps thin people to gain weight because of their better nutrient absorption quality and also by boosting the metabolism in the body. 5. Guava helps in giving relief against cold and cough. Guava is a natural medicine for cold and cough. The astringent properties in guava help in loosening the mucus and reducing it. It is important to note that you need to eat a raw guava and not a fully ripe one in order to get relief from cold and cough. A good combination would be to combine raw guava with some guava leaves and blend it together into a thick juice. 6. Guava helps in giving relief against a toothache. We all at some point in time must have used grandma’s natural remedy, guava leaves paste, which was effectively used to relieve a toothache or even bleeding gums. You can eat guavas or even have its juice to give relief against bleeding gums, toothaches and sores. The anti-inflammatory and antibacterial properties help in fighting and killing germs. 7. Guava is good for the skin and hair. Guava is rich in vitamin A, B, C, potassium and many other minerals and nutrients which are extremely good for the skin. It also has lycopene, which helps in avoiding skin damage and also prevents the premature ageing of the skin. It improves the complexion of the skin and also tones the skin. It helps in keeping the skin look young and supple. Guava contains a high level of water, which helps in keeping the skin hydrated. Many natural face packs use guava pulp in order to give you a radiant look. Guava leaves help in treating blackheads and dark spots. A smooth paste of guava leaves can help in clearing the dark spots and even acne. Guava fruit and leaves face pack can help the skin feeling refreshed and rejuvenated. Pink guavas have twice the amount of lycopene present in tomatoes. Lycopene helps in protecting the skin from getting damaged by sun rays. It helps in reducing allergic skin reactions like redness, itchiness etc. Just apply the guava leaves paste on the affected part. Guava helps in reducing hair loss problems due to the presence of vitamin C. You need to boil guava leaves in water for around 15 minutes and then apply that extract to the root, scalp and hair. It will reduce the hair loss. It helps in giving you good, healthy and shiny hair. 8. Guava helps in improving eyesight. The vitamin A present in Guavas help in preventing the muscular degeneration. They also help in slowing down the process of the onset of cataracts and other eye diseases. 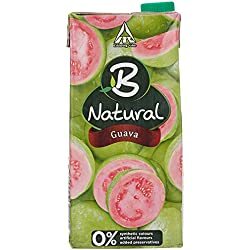 There are no known side effects of eating guava. But yes, if you overeat then it might cause diarrhoea as it is a natural laxative. Everything is good when you eat it in right proportions. The pink guavas provide more health benefits than the white ones. It is good to choose guavas which are slightly firm. Do not buy guavas which are yellow and overripe with cuts and blemishes. We would encourage you to eat guavas when they are in season. This humble fruit can give you loads of health benefits. Hope you enjoyed this article Health Benefits Of Guava. For more similar articles please like and subscribe to our newsletter.